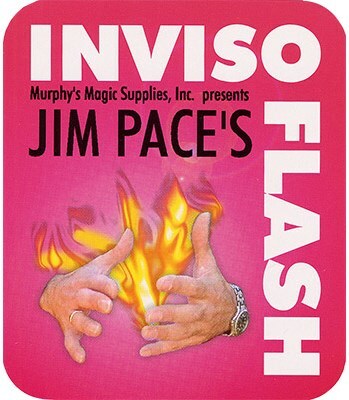 Inviso-Flash allows you to produce a flash of fire and immediately show your hands to be completely empty! You can use Inviso-Flash to enhance your magic or simply as a gag. Imagine as your left hand produces a coin your right hand meets your left hand in a flash of fire. Out of the fire a coin is produced. Imagine as you touch a computer keyboard you activate the Inviso-Flash as previously described. It will appear that the keyboard has short circuited causing a ball of fire. As you release the striker so it retracts back to the reel, your right hand shakes up and down as if in pain from the apparent shock. Ask a friend to try the keyboard and watch how hesitant they will be. These and many other uses are possible with Inviso-Flash. You're limited only by your imagination!